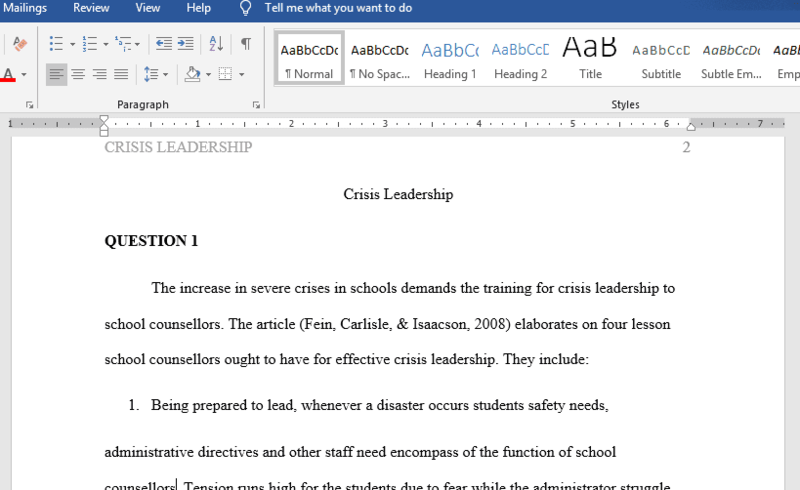 Discuss the four lessons of leadership to be learned from the article you read, School Shootings and Counselor Leadership: Four Lessons from the Field, by Fein, Carlisle, and Isaacson. As a security administrator, which one approach to leadership from this article has the most applicability to managing a security organization and why? Chad Collins is the Security Manager of a manufacturing facility in Boise, Idaho. The manufacturing facility needs to expand its operations to 24-hours, which will directly impact (among other areas) the drive-through security check-point used by employees, vendors, and visitors who are entering and exiting the facility during regular business hours (between the operational hours of 6:00 a.m. and 6:00 p.m.). Two new work shifts (3:00 p.m. to midnight; midnight to 9:00 a.m.) have been established to meet the growing needs of the manufacturing facility and its new 24-hour operations. The Security Director, Chad’s immediate supervisor, has asked Chad to create a “draft” organizational plan that will address the security and scheduling needs for the drive-through security check-point’s new additional hours of operation.